Dear SETI@home Volunteer:We need your help to continue the Search for Extraterrestrial Intelligence! For the last thirteen years, SETI@home has brought the search for extraterrestrial intelligence to millions of participants around the world. We use the largest and most sensitive telescopes on earth to scan the skies for the faint whispers of another technology. Your tax-deductible donation will help enable us to continue the SETI@home and Astropulse projects at Arecibo Observatory, as well as pursue ambitious new experiments at the Green Bank Telescope (GBT) and other observatories around the world. SETI@home is primarily funded by the financial support of its participants. Your contribution is vital to sustaining our search for intelligent life on other worlds. The search for extraterrestrial intelligence life is at a very exciting point. The detection of extrasolar planets by the Kepler mission as well as by ground based observations suggest that there are as many as 40 billion habitable earth-like planets in our galaxy. The Kepler planet detections are enabling a fascinating new type of observation, which we are currently conducting at the GBT. Using the precisely known orbital characteristics of planets in multiple planet systems we can predict when two such planets line up with each other and the earth. 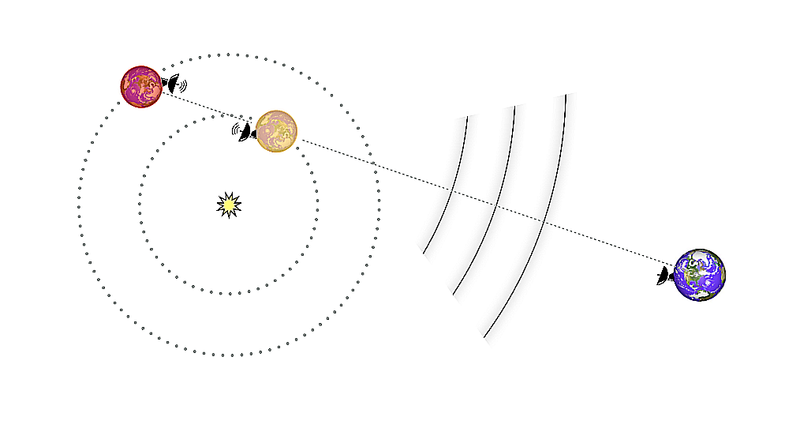 These alignments, known as conjunctions, allow us to eavesdrop on possible planet-to-planet communication or active astronomy (much like we use the Arecibo planetary radar to image other planets in our solar system). The data gathered from these observations will be distributed on the SETI@home network as well as subjected to in-house analyses. In the realm of technology development, we have a couple of exciting projects to report on. The next generation in the long line of SERENDIP experiments, SERENDIP VI, is in rapid development and we hope to deploy it early next year at both Arecibo and the GBT. As a bonus, SERENDIP VI will also look for the new and mysterious fast radio bursts. SETI data analysis is coming to a phone or tablet very near you! The SETI@home application for android based cell phones and tablets is now in beta. We plan to release this application to everyone in the next few months. Please consider making a financial contribution to SETI@home to help us see these and other projects through to fruition. The University of California is a nonprofit educational and research organization governed by the provisions of Section 501(c)(3) of the Internal Revenue Code. Donations are tax deductible for residents of the United States and Canada.